Besides pigeons and squirrels, one of the most common animals in our city is the dog, at least in our neighborhood. Lately, we have been hanging outside the dog run for small dogs in Washington Square Park, a lot. One of us is intrigued by dogs, big and small, but dog watching is easier at the dog run for small dogs. 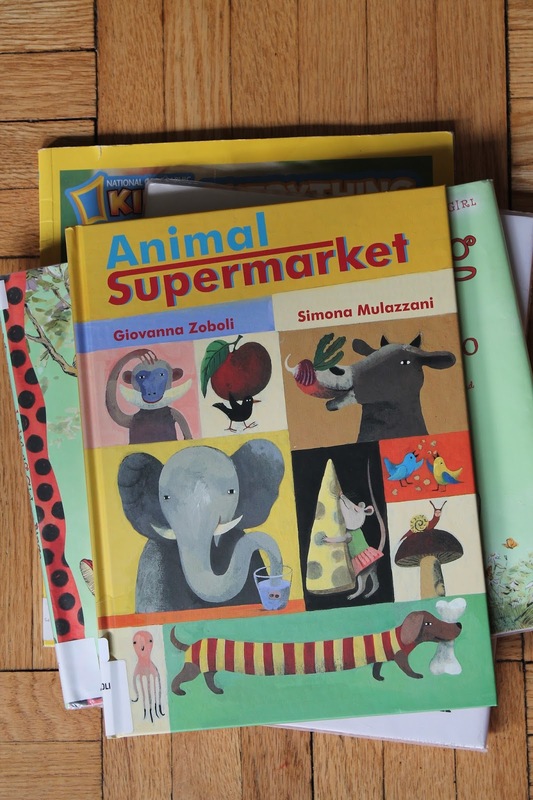 Here are some picture books we have been reading to complement our happenstance dog sightings and purposeful dog-watching. The National Geographic Kids Everything series is encyclopedic; a great resource. The Dog volume does not disappoint. 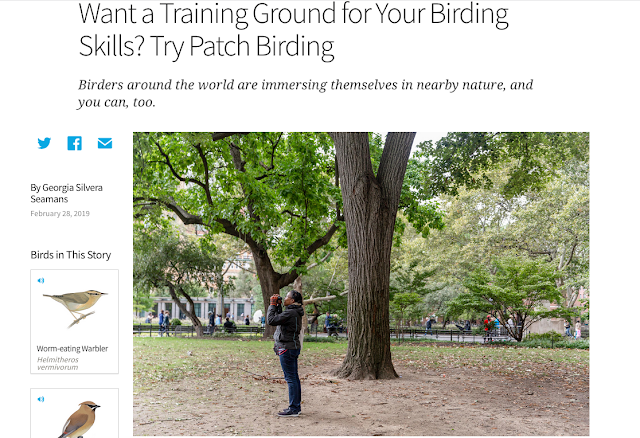 The photographs and graphics are appealing to young children (and adults, too). 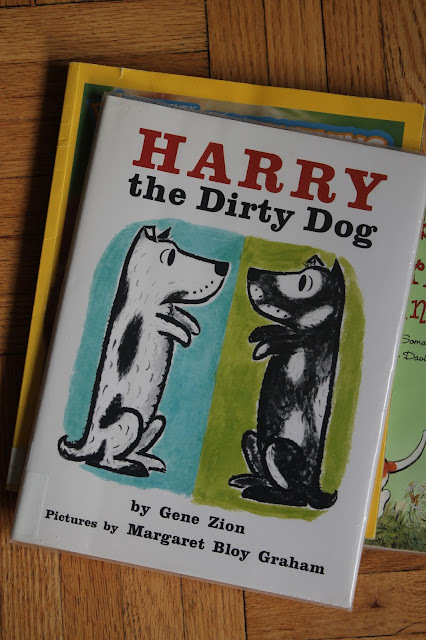 Harry the Dirty Dog by Gene Zion with pictures by Margaret Bloy Graham is a classic picture book though it's taken us more than five years to finally read it! The story is funny and Harry is not quite unlike a young child. I am a big fan of the Ladybug Girl books by David Soman and Jacky Davis. 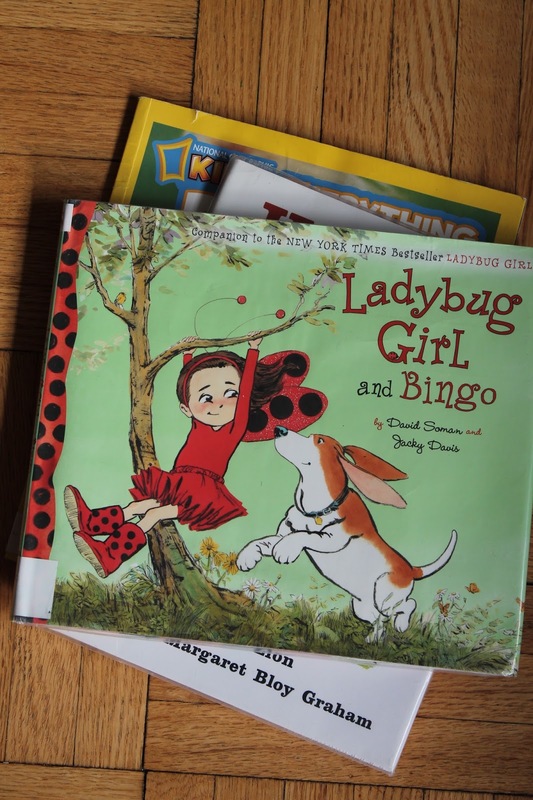 Ladybug Girl is curious and adventuresome and her sidekick is her dog, Bingo. In this particular book, Ladybug Girl and her family go camping. She goes hiking and boating on a lake, but the real adventure happens in the forest. 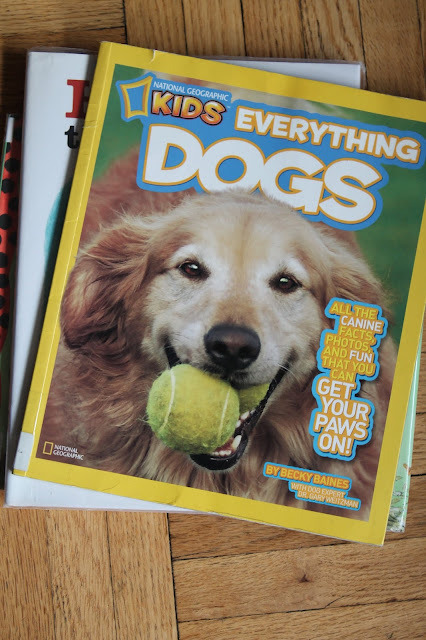 This last book is not about dogs but I couldn't resist borrowing it, too. 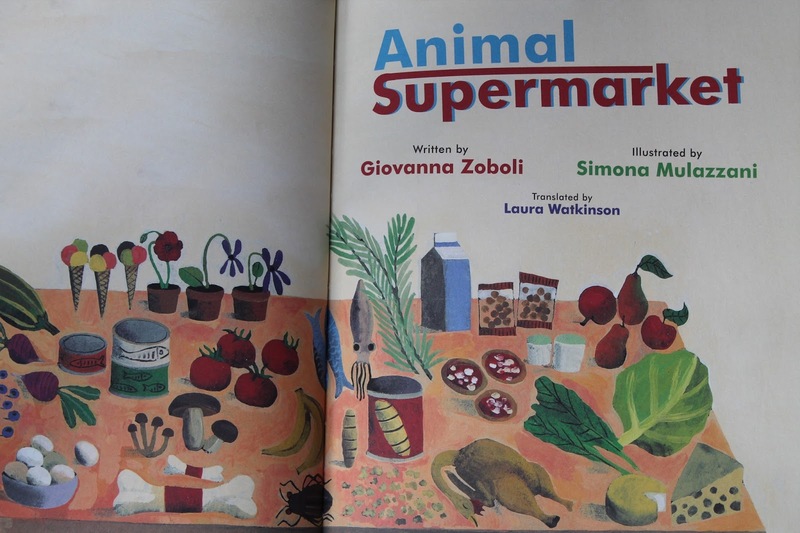 Animal Supermarket by Giovanna Zoboli, illustrated by Simona Mulazzani, and translated by Laura Watkinson is a clever take on grocery shopping if you are an animal. Snails arrive early to select the best greens, foxes steal chickens, and polar bears shop for cod, cuttlefish, and squid. The frozen section was replaced by a meadow of poppies, bluebells, and violets; you can find the bees there. Have you read any of these books? 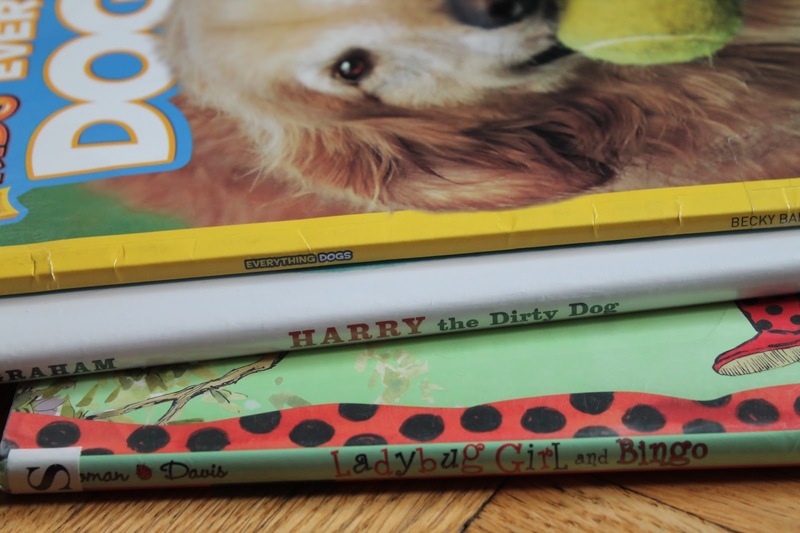 Do you have any dog-themed picture books to recommend?